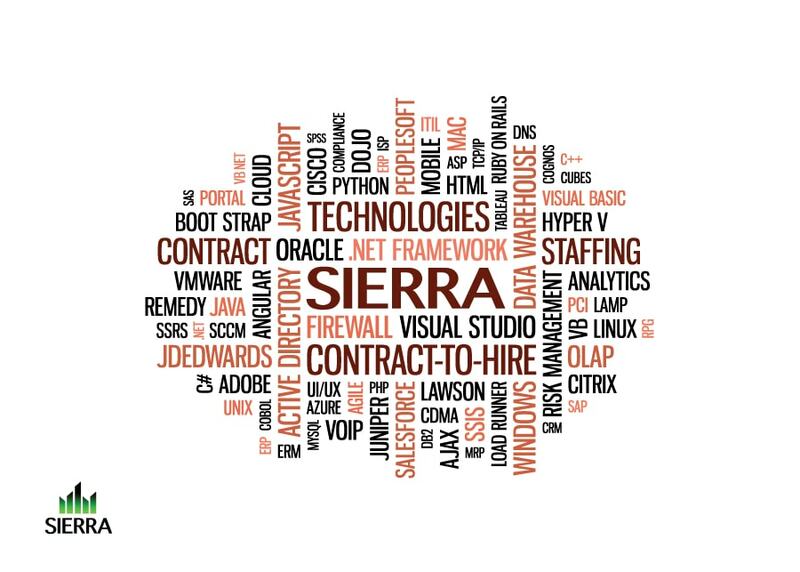 Since 1994, Sierra ITS has been a market leader in the Information Technology Staffing Industry. 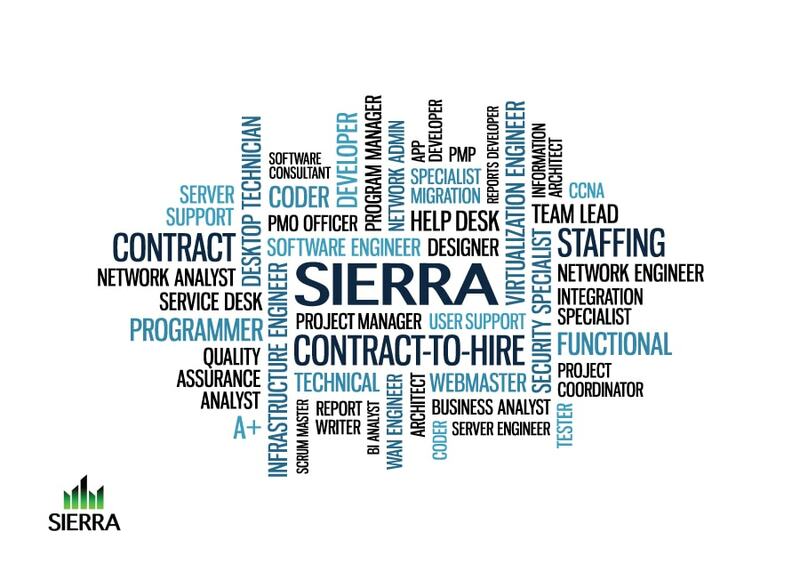 The company’s mission is to provide outstanding contract, contract to hire, and direct hire technical staff. 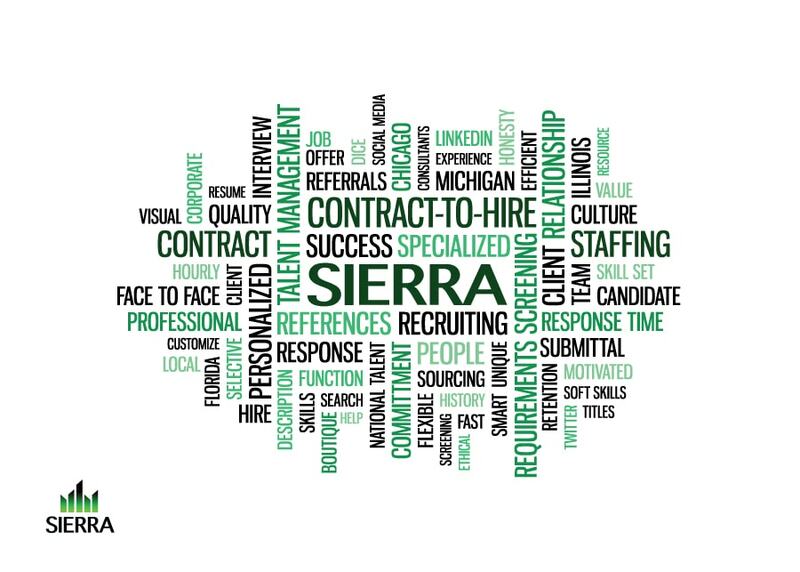 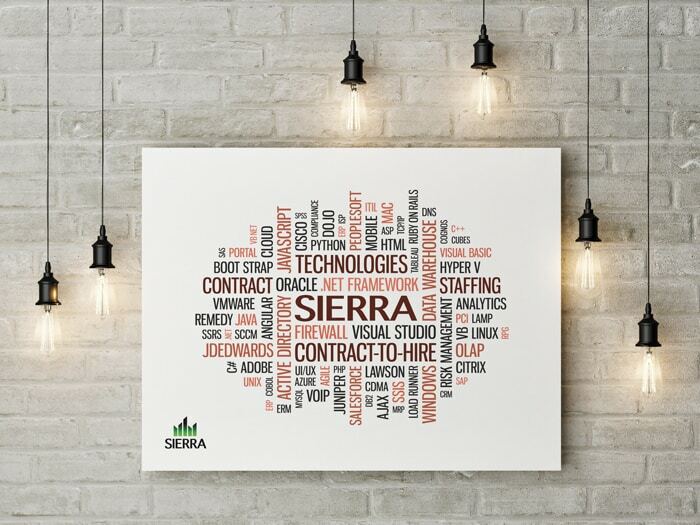 The IT staffing agency was renovating the interior design in their corporate office and needed numerous word cloud posters to showcase the various aspects which make up Sierra ITS. 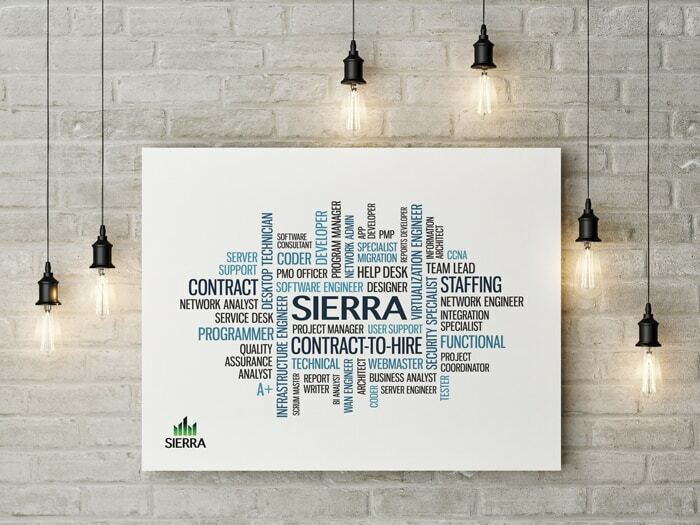 Each large format poster was created within the company’s brand guidelines and emphasis was placed on the most important services offerings by contrasting the typography’s size, color, and axis orientation. 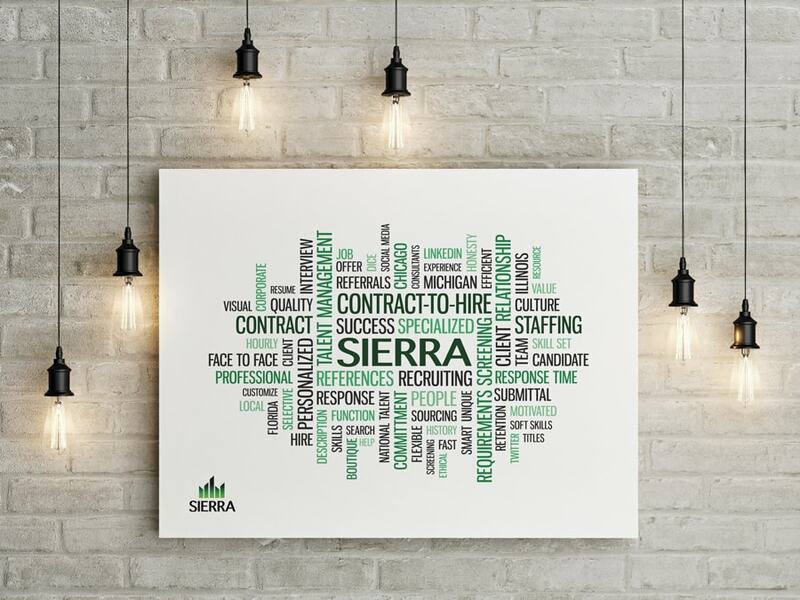 Upon completion and installation, the poster set creates a visual statement for anyone who visits their Chicago office.